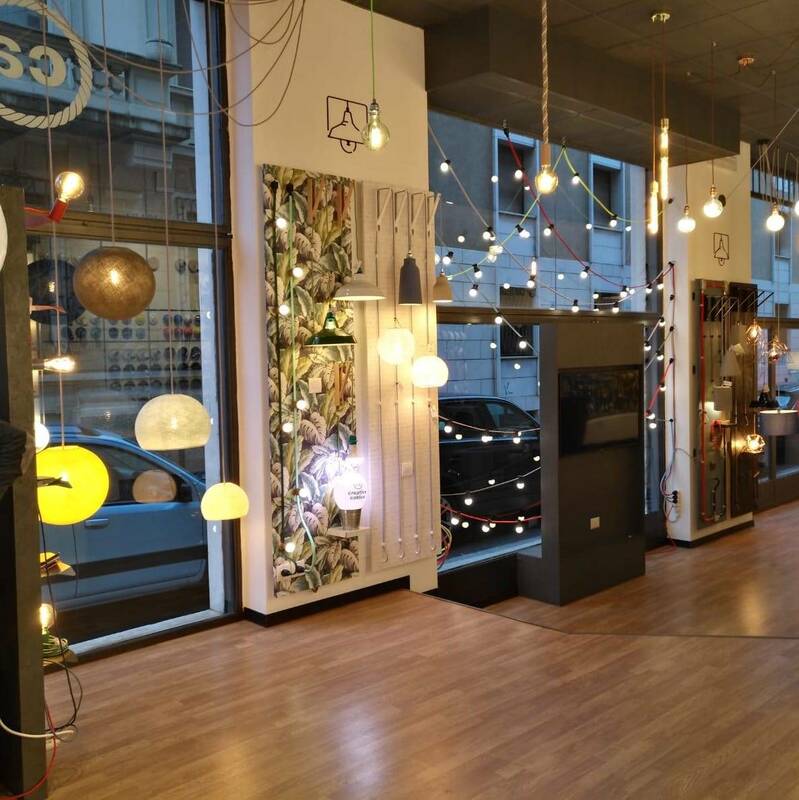 Our company’s commitment is to help you design your own unique and stunning lighting at affordable prices, playing with components normally considered not so fancy to create dramatic lighting results. We are tailor made in Italy. We design and manufacture most of our products at our family owned workshop. We work side by side with creative, clever, famous designers to constantly supply new products. We combine innovation with old world Italian craftmanship. Our lighting is customizable because we hate boredom. 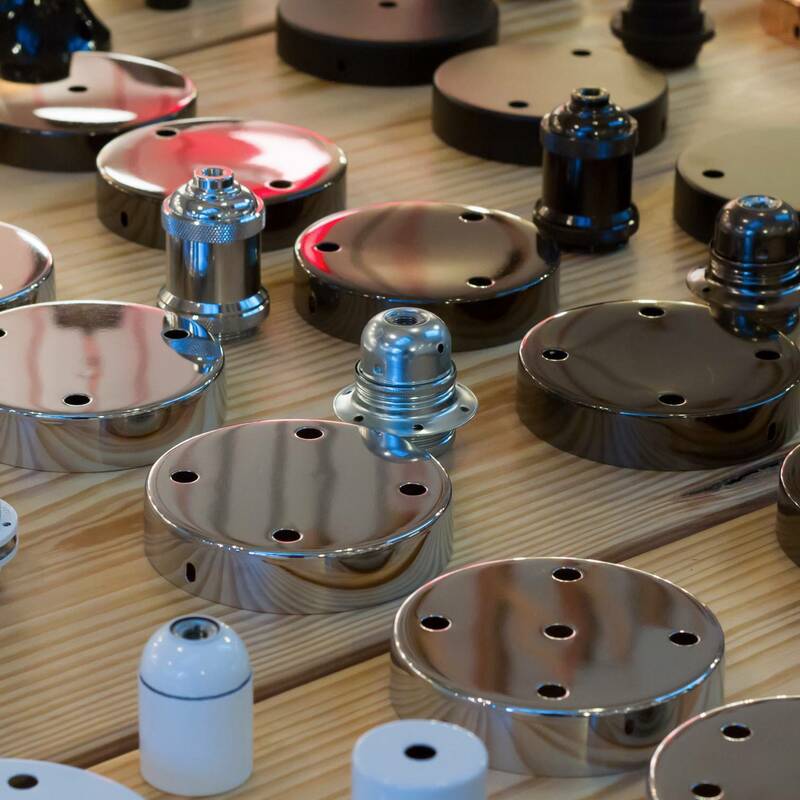 We love to boost customers creativity, constantly providing new components to create new combinations. 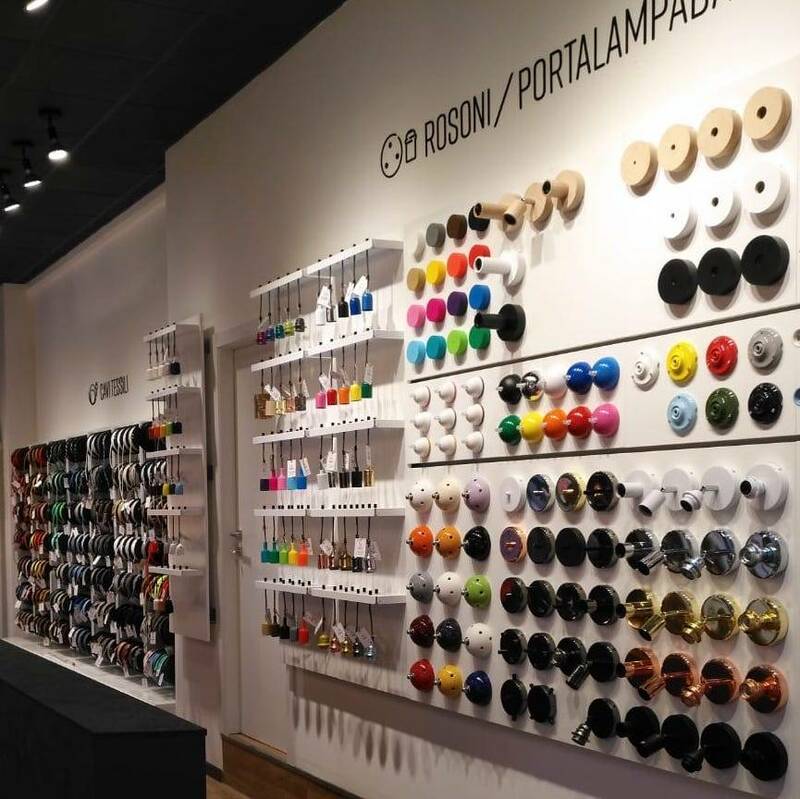 Our shops are filled with hundreds of products so people can experience, touch and feel them. We are playful, not a bleak luxury brand. We love colors, fabrics and strange materials. We love to play with them and fashion unexpected variations. Our shops are vibrant and our customers feel welcome to experiment and create. Our products are unique because every lamp can be one of a kind. We encourage people to buy our components and create their own unique home decoration or use them in unconventional manner: the only limit is your imagination. Do you offer discounts B2B customers? YES! We want to work with you and offer aggressive discounts to our Creative Partners. We love working with Architects, Designers, and Creators & Retailers in the Lighting Industry. We want you to discover why we say we have the highest quality UL Listed cloth covered wire, lighting supplies & lamp parts available in the world. Can I get samples of your UL Listed cloth covered wire? YES! If you have a particular color you would like to see just let us know and we will be happy to send you a sample. 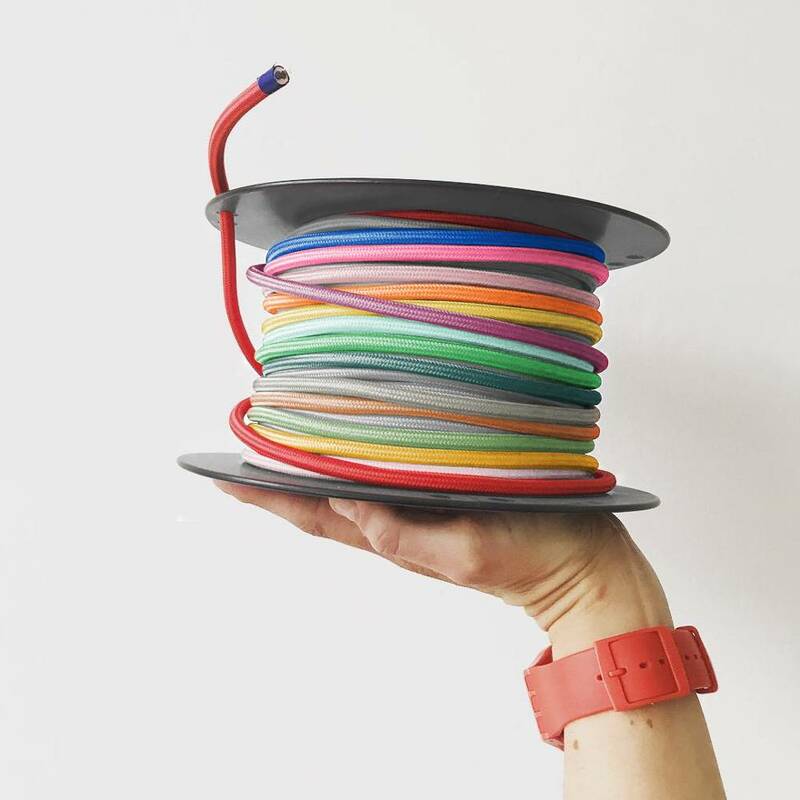 Be sure to also check out our Special Offer to send lighting and design professionals a package of our Top 10 Best Selling Colors of cloth covered wire for FREE. Need more colors? We offer a sample case that has over 120 colors and styles of our most popular colors and styles of cloth covered wire fabric cables. This case is normally $50, but if you are a large user of cloth wire and ask politely we'll be happy to make sure to get one of these out to you ASAP. You’ll find that our customer service team does everything to make sure we meet your needs and helps you with your projects. To find out more and to get started becoming one of our Creative Partners just email Jami.Ferrell@creative-cables.com or call 901.359.5128. We guarantee we will be in touch with you soon.